In every city or town that we visit to record an episode of NPR’s From the Top with Host Christopher O’Riley, we work hard to celebrate the power of music in the hands of young people. But what does that mean, exactly? Well, it depends on the community. No matter where we go, we seek to partner with local schools or organizations that are already engaged in the important work of celebrating and empowering young people through music. We aren’t simply coming to town, doing a pre-planned workshop, and leaving. Instead, we work with the young musicians on our show to explore the concepts of arts leadership and to create outreach activities that speak directly to what our host community cares about. It’s hard to find a better example of this community-focused, shared, musical experience than our recent visit to Honolulu, Hawaii. Our partner in this work was the Hawaii Youth Symphony (HYS), who played two pieces on the recording of NPR’s From the Top. HYS has an annual tradition, going back several decades, of holding children’s concerts. 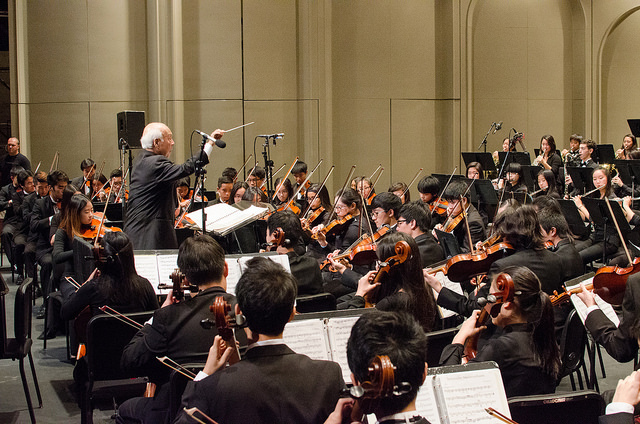 The concerts, called “Listen and Learn” are free, 45-minute concerts, and are Hawaii’s only live symphony concerts for youth by youth. This year, after the From the Top recording was over, 13 members of the HYS worked with From the Top’s education team to explore how they could be leaders and ambassadors within their orchestra, and how they could help their young Listen and Learn audiences get excited about their upcoming concerts. These conversations helped inform a special new project for the orchestra – a “promo video challenge”. The HYS young leaders created YouTube videos that included personal introductions and shared their stories about why music is important, as well as what they hoped the Listen and Learn audiences would experience at their concerts. For many of the young HYS musicians, the video challenge was a significant one, requiring them to step out of their comfort zone, gain confidence, and engage directly in advocating for music. 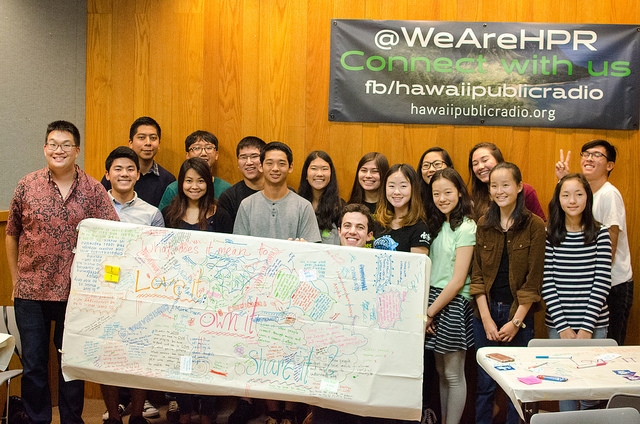 From the Top’s visit to Honolulu was made possible by support from Hawaii Public Radio and the Sidney E. Frank Foundation. To hear the HYS in performance, listen to their show here.